Jonathan Leeman at 9 Marks interviews Mark Vroegop on the subject of lament. 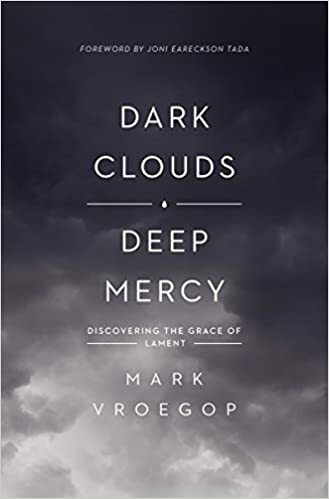 Mark recently published a book on lament called Dark Clouds Deep Mercy. In this 9 Marks podcast Jonathan and Mark talk about the necessity of lament, it’s healthy place in the Christian Life, and provide some careful marks that distinguish godly lament from complaining at God. 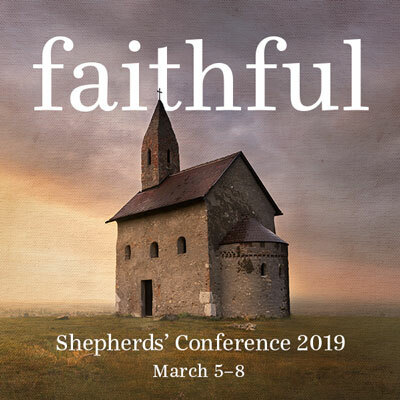 This year’s Shepherds Conference was titled “Faithful.” It was focused on being faithful in ministry. A host of men joined John MacArthur this year including Sinclair Ferguson, Al Mohler, Ligon Duncan, Mark Dever, HB Charles, Voddie Bachman, Joel Beeke and many others. This years conference also included some great breakout sessions focusing on the ministry of faithful ministers. The free audio download for the month of January at ChristianAudio is Charles Spurgeon’s classic Morning and Evening. Since the penning of Morning and Evening over 100 years ago, this devotional classic has become hugely popular and been a favorite for millions worldwide. The free audio book at ChristianAudio is Augustine’s Confessions. Sinclair Ferguson examines the life and preaching ministry of John Flavel. Flavel was a non-conformist preacher in the 17th century who was exiled from Dartmouth during the Great Ejection. He, along with many others, was not allowed to preach within five miles of any major population center. Consequently, he was devoted to ministering to a single flock in an out-of-the-way place in the south of England. Flavel epitomized the Puritan style of preaching, which was characterized by three dimensions. The ministry of the Word of God is a ministry to this particular world. The ministry of the Word of God to this particular world by this particular worker. This last dimension is something that is not well understood in our contemporary day, as sermons are reduced to mere facts and figures independent of personality. This didn’t sidestep the importance of carefully preaching the text. The Puritan sermon was a carefully wrought piece of work that began with a clear introduction to the text, an analysis of the key points of the text, an exposition of the truths enshrined in the text, and a clear explanation of how the particular truths arise from the text, and sensitivity in the handling of any difficulties. All of this would be done using plain speech and manifest love for the congregation. Flavel was a remarkable illustration of this. In fact, Flavel’s preaching and writing was very popular. A number of his books have remained in print and are available today. Keeping the Heart, which expounded on the principles of Proverbs. Christian Audio’s free audio book for the month of November 2018 is Foxe’s Book of Martyrs. Beginning with the story of Stephen from the book of Acts, considered the first Christian martyr, the drama builds to the passion of the early Church’s persecution under the Roman Empire. As the story continues, it places a significant emphasis on the sufferings of the early Protestants during the Reformation and continues with the stories of the French Protestants during and after the French Revolution. The folks at Proclamation Trust have knocked it out of the park in technicolor. David Jackman, whom I admire for his engaging preaching, has created an extensive video and book study on preaching. And it’s all free. This is an amazing source from a place I consider a gold standard of preaching and equipping preachers to preach. Thank you David Jackman and your team at Proclamation Trust. 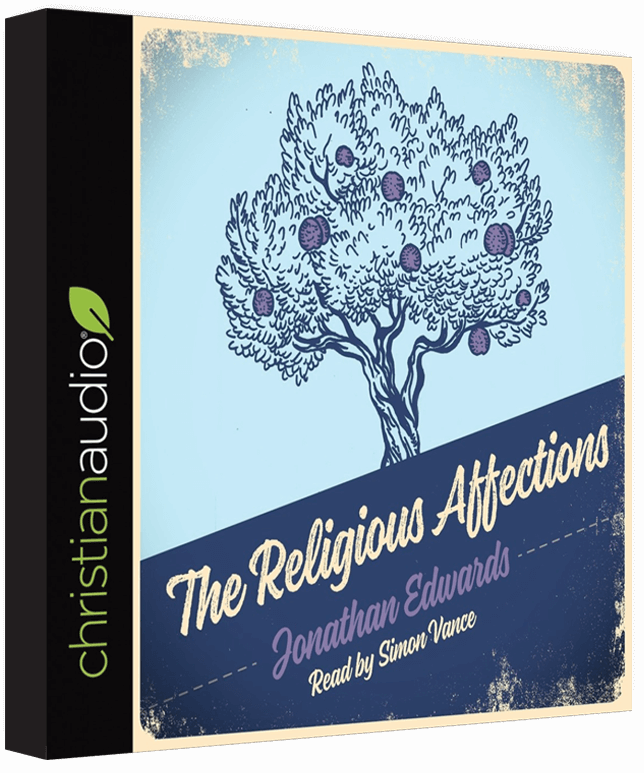 Jonathan Edwards’ classic book Religious Affections is the free audio book for the month of August at Christian Audio. The Religious Affections is quite possibly one of the most important books ever written by America’s greatest theologian. Among the questions asked is, “What is the nature of true religion?”, “What are the signs of a true revival?”, and “How is the heart changed?”. Edwards used his pulpit and his leadership of the Great Awakening to pen one of the most challenging and inquisitive books ever written. 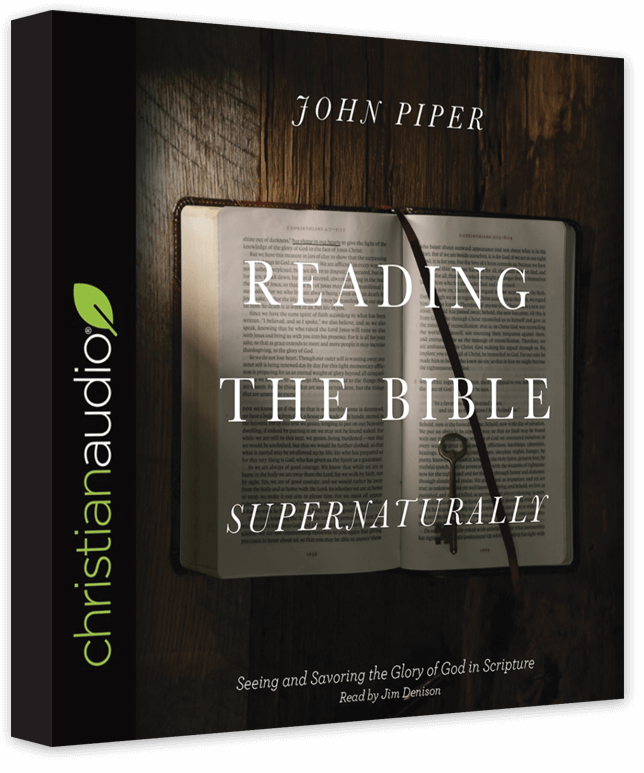 John Piper’s book Reading the Bible Supernaturally is the free audio book download of the month of July at ChristianAudio. The Bible reveals glorious things. And yet we often miss its power because we read it the same way we read any other book. In Reading the Bible Supernaturally, best-selling author John Piper teaches us how to read the Bible in light of its divine author. In doing so, he highlights the Bible’s unique ability to reveal God to humanity in a way that informs our minds, transforms our hearts, and ignites our love. Ultimately, Piper shows us that in the seemingly ordinary act of reading the Bible, something supernatural happens: we encounter the living God. For a limited time, the 2018 Banner Conference is available to watch online for free. The conference this is “Ministers of Christ.” Among the speakers are Alistair Begg, Mark Johnson, David Strain, and Al Mohler. The Christian ministry is a many-sided calling. We are to be preachers and teachers, serving publicly and from house-to-house. We are to do the work of an evangelist. We are to be defenders of the faith and guardians of the gospel. We carry responsibility for the oversight of the church. We are to shepherd God’s flock, visit the sick, remember those in prison and be role models to all. Though many ministers are still young, they are called to be ‘elders’ , men displaying wisdom beyond their years. And this is just a fraction of what this holy vocation entails! There is, however, one aspect of this calling that transcends and also connects all its other aspects. It is the fact that we are first and foremost ministers of Christ. He has called, equipped and commissioned us to serve him. It is to him we must ultimately answer; but it is also from him that we receive the gifts and enabling necessary for the work he assigns. He puts his treasure in clay jars and it is his pleasure to display his power through human weakness. Being ministers of Christ is the theme of our 2018 conference. It is intended to remind those who are ministers that they have the highest of callings; but to remind them too that the Master we serve makes us equal to the task.